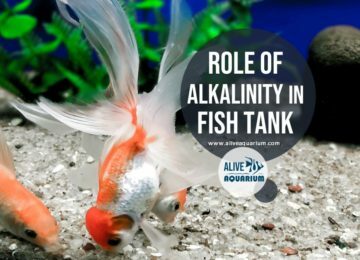 Healthy fish tanks contain crystal clear water. Cloudy water usually means trouble. 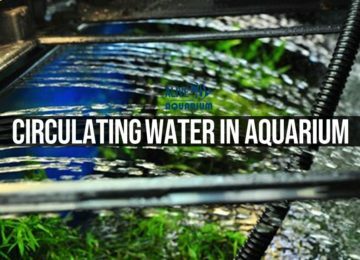 Aquarium suffer different types of cloudy water because of different causes. How to fix a Cloudy Fish Tank? Single-celled algae growing in your water causes it to turn green. 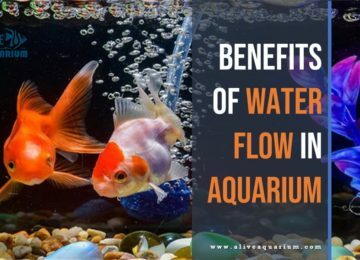 While algae is actually good for your fishes, very few aquarists want green water. Light and fertilizer encourage algae. Decrease both and you will probably not see green water. Water changes and small amounts of salt encourage algae. Fast-growing plants such as anacharis compete with algae for food and will starve it. In the past, algaecides killed algae (and other aquatic plants). Algae Fix appears to do the job these days. New driftwood leaches tannin and humic acids into your water. Soaking driftwood in bleach water will lessen those brown colors. Water changes remove them mechanically. Carbon adsorbs them. Change it often. If you feed color foods, expect weird colored water. When we put 1,100 white clouds in a 55 and feed them color foods, the water tints up fast. 95% water changes get rid of it. Avoid these massive changes unless you have plenty of aged water on hand. Many of the colored gravels will also leach into the water. If you have pink gravel and your water turns pink, don’t bother calling Sherlock Holmes for a second opinion. Carbon will remove these colors fast. You will need to keep changing the carbon as long as your gravel leaches. Many medications contain strong dyes (or ARE strong dyes) that will discolor your water — some ich cures will discolor your aquarium sealer. After completing your course of treatment, remove the dye(s) with fresh carbon. Now we’re down to what most people mean by “cloudy water.” This type of cloudy water comes from bacteria and infusoria growing in your aquarium. In basic terms, this results from excess organic matter in your tank (more than your filter can “digest”). So let’s look into some of the reasons water turns grey. Your new under gravel filter contains insufficient bacteria to “digest” your fish wastes. Change your water more often. Add freeze-dried bacteria or liquid enzymes to clear it up. We find the Bio-Spira works well at preventing new tank syndrome. Add it before the problem arises. Our old-fashioned way to prevent or cure this problem: Add a quart of “dirty water” siphoned from a functioning UG filter. There are many ways to get rid of cloudy fish tank water in established tank. Don’t Overfeed. New tank owners especially like to overfeed their fish. When you go on vacation, your helpful neighbor will also overfeed them. Four-year old kids can always be counted on to overfeed your fish. Make sure you keep your fish food in a hard-to-reach place. If two people feed the fish, your chances of overfeeding double. Sick fishes always eat less. Overfeeding only adds to their health problems — and their cloudy water. Don’t use wrong or Poor quality fish food because they end up falling to the bottom and grows moldy. Fish will not eat spoiled food. Bacteria eat it and cloud your water. Unrinsed thawed brine shrimp (or other juicy “bug foods”) can leach blood into the water. Only bacteria can eat this bug juice. Use Snails. Snails overrun your tank because you overfeed your fish. Snails and bacteria are the only critters that will eat that layer of dead food on the bottom. If you get tired of the snails and dispose of them, you can pollute your tank and cloud your water. Remove decomposing dead Bodies. An unnoticed corpse in your tank can overload your filter system. Get it out before you have a layer of belly floaters. Ditto on dead plants and dead snails. Turn on the Filters. Look for a loose airline tube, unplugged air pump, or clogged airstone. Check your filter cartridges. Goldfish bowls and other non-filtered aquaria cloud up nearly instantly. Water goes bad fast in aquaria without filters. The smaller the container, the bigger the problem. Small sponge filters work miracles in goldfish bowls. Use Flocculants. After checking for and correcting the cause of your cloudy water, add one of the water additives designed to clear your water. These make small lumps clump together so your filter grabs them more efficiently. However, bacteria regrows again in a few days. You need to fix the cause.